We are provider of fine quality Industrial Phosphating Services used as a corrosion resistant coating on a metal or an electro plating process. It always coats better on a crystalline structure rather than a bare metal. Matching up with the ever increasing requirements of the customers, our company is engaged in providing Phosphating Service. We are one of the well-distinguished companies in this business and are involved in providing Phosphating Coating Service to our clients. These Phosphating Coating services are rendered by our team members who hold several years of experience of this domain. We deliver these services on time. With the support of our talented team of professionals, we are ably providing Phosphate Coating Service. We offer a high quality of manganese phosphating, these corrosion-resistant coatings consists chiefly of iron and manganese phospates, and reduce wear on such articles such as pistons, rings, liners, camshafts, tappets, motor blocks and similar bearing surfaces. Manganese phosphate coating has the highest hardness and superior corrosion and wear resistances of general phosphate coatings. In order to fulfill numerous necessities of our valued clients, we provide Phosphating Electroplating Services. 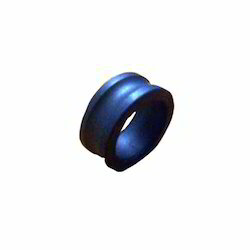 The presented service has garnered appreciation by our respected clients for its high resistance to corrosion and wear resistant. Further, the offered service is rendered as per the client’s precise necessities and keeping in mind their monetary constraints. We offer Blackodising Services to all patrons. These services are done by making chemical reaction on the metallic surface to offer longer life performance. These coatings are weather proof and do not get affected by scratches.